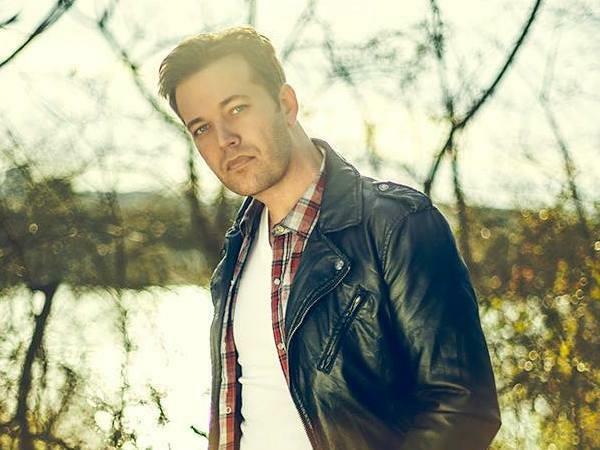 Join us this week as we welcome country music singer songwriter, Lucas Hoge. Hailing from Hubbell, NE., Lucas’s soul-stirring voice isn’t the only thing that has gotten him noticed. He has appeared on TV with Faith Hill for the Sunday Night Football commercial campaign, with Toby Keith in his Christmas special and in a Mary Kay commercial with Danielle Peck and Jennifer Hanson. Lucas has toured Denmark, Norway, Sweden and has traveled to the Middle East to perform for our troops. “Not only was my trip to Iraq, Kuwait and Kosovo the greatest honor in my life, it was the most fun I’ve ever had,” Lucas says. “After my trip, I knew I wanted help our troops any way that I could, so I began by writing “Soldiers Creed” and “Medal Of Honor’” which is featured on the Music for Our Troops CD". Lucas joined the Armed Forces Entertainment: Wrangler® National Patriot Tour in 2011. Wrangler® sponsored 1,000 free download cards of “Medal Of Honor” and announced that “Medal Of Honor” is the Wrangler® National Patriot official theme song and now available for download on the WranglerNationalPatriot.com website. Lucas, now a permanent member of the tour, returns every Memorial Day week. The 2014 tour will head North to Alaska visiting several Coast Guard bases. We will talk to Lucas about his upcoming schedule, get a behind the scenes look at his music, feature his latest songs, and ask him to share his message for the troops. Please be sure to visit Lucas Hoge at http://www.lucashoge.com/ and spread the word. Fans are welcome to call in and speak live with with Lucas during the show (718) 766-4193. If you would like to participate in the live chat during the show, you must sign up on the show site first and then log in during the show. Our message to the troops....WE do what we do, because YOU do what you do.